With locations in New York, Los Angeles, Fukuoka, and Okinawa, FRANK’S CHOP SHOP is at the forefront of the barber boom and continues to be a driving force in various cultural scenes around the world. 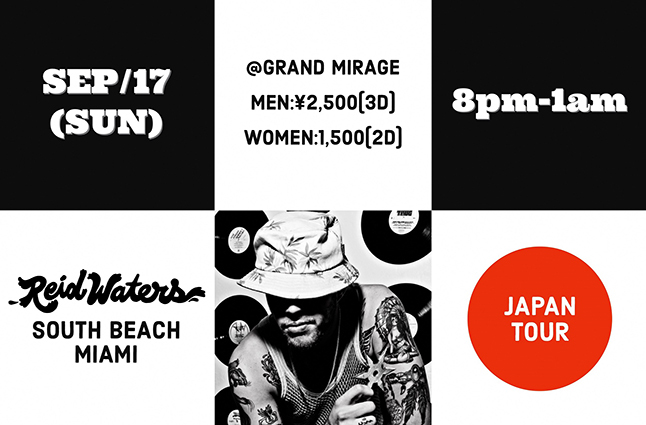 Boasting highly acclaimed pop-ups in countries around the world, now they will be holding a collaboration party at Fukuoka’s newest club, GRAND MIRAGE. Appearing as the guest DJ is the legendary Reid Waters, who DJs at the famous Miami South Beach clubs, Wall and E11even.